Ad fraud is rampant across the entire digital and mobile ecosystem. But one area fraudsters really love is performance marketing. There are just so many ways to sneak in and steal a piece of the pie! If you pay partners and/or affiliates on CPA, CPI, CPL or CPC, then you need to be aware of how performance fraud happens, so that you can identify and fight it. Why? Because eliminating fraud from your performance marketing program might just be the fastest way to increase your budget without having to fight your CFO for it. 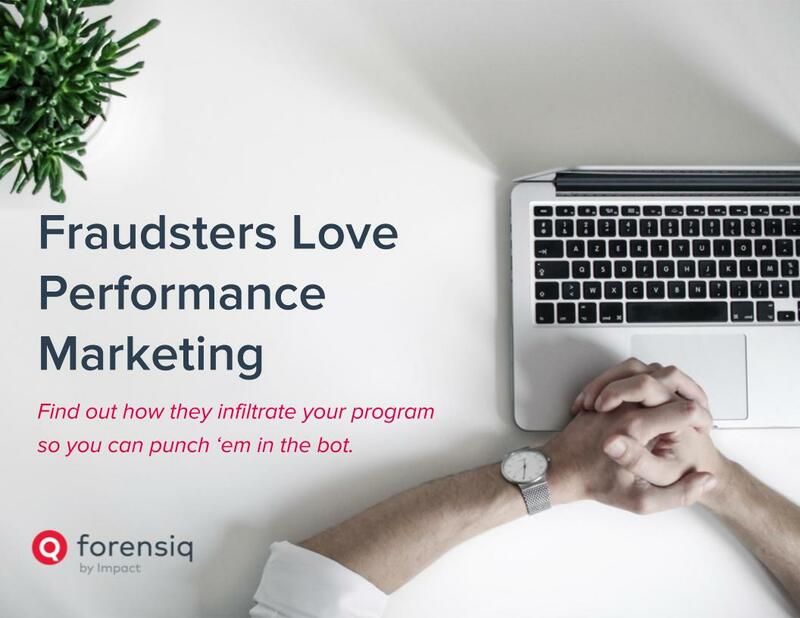 Learn how fraudsters infiltrate your program, so you can kick 'em in the bot!